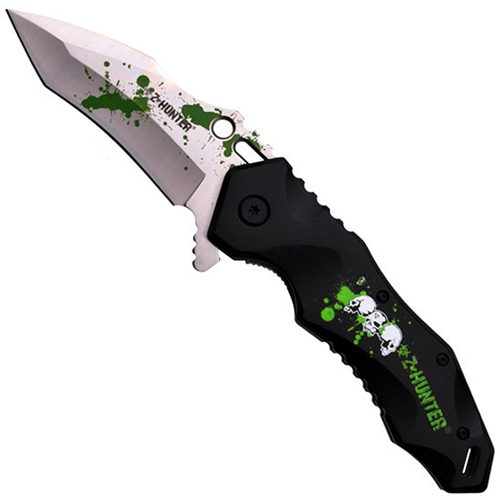 Master Cutlery and Z Hunter deliver this zombie themed Folding Knife with a decorative blood splatter design. Its stainless steel blade is flipped open thanks to its spring assisted opener. The black handle is anodized to provide a durable, corrosion resistant finish. Overall length is 216 mm (8.5 inches).